Here’s three powerful techniques for immersing readers into your story: use the sense of smell. 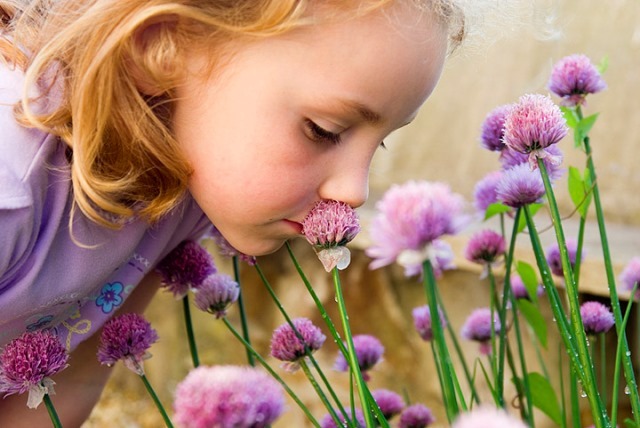 Of all the senses, smell has the strongest psychological effect. The mere mention of a smell evokes memories and triggers associations in the reader’s subconscious. Mention a smell, and the scene comes to life. Mention two or three, and the reader is pulled into the scene as if it were real. A single sentence about smells can reveal more about a place than several paragraphs of visual descriptions. For example, the hero enters a home for old people. “The place smelled of boiled cabbage, urine, and disinfectant.” These nine words are enough to convey what kind of old people’s home this is, and it creates a strong image in the reader’s mind. The best place to insert a sentence about smells is immediately after the point-of-view character has arrived at a new location. That’s when humans are most aware of smells, so it feels right if you mention them. Smells trigger emotions. If you want your reader to feel positive about the place, use pleasant scents. To make the reader recoil, mention nasty odors. Also, consider the genre. Thriller and horror readers appreciate being taken to places where odors are as foul as the villain’s deeds, but romance readers want a pleasant experience, so treat them to lovely scents. The place reeked/stank of AAA and BBB. The odors of AAA and BBB mingled with the smells of CCC and DDD. Her nostrils detected a whiff of AAA beneath the smells of BBB and CCC. The smell of AAA warred with the stronger odor of BBB. The air was rich with the scents of AAA and BBB. The smell of AAA failed to mask the stench of BBB. The stench of AAA hit him first, followed by the odor of BBB. Beneath the scent of AAA lay the more ominous odors of BBB and CCC. The scents of AAA and BBB greeted her. The smells of AAA and BBB made his mouth water. He braced himself against the stink of AAA and BBB. These examples show how authors have used this technique in their fiction. Have a go. Whatever story you’re working on right now, whatever scene you’re writing, think of two or more smells that characterize the place. Write a sentence about them. If you like, post your sentence in the comments section. I’d love to see what you come up with. Rayne Hall has published more than fifty books in several languages under several pen names with several publishers in several genres, mostly fantasy, horror and non-fiction. She is the author of the bestselling Writer's Craft series and editor of the Ten Tales short story anthologies. She is a trained publishing manager, holds a masters degree in Creative Writing, and has worked in the publishing industry for over thirty years. Thanks for sharing such an insightful post, Rayne!